Time has come to take professional care of your parquet or laminate floor. Dial 020 3746 3201 now or complete our booking form. Short notice availability. Hire us and have your floor smooth & shiny once again! 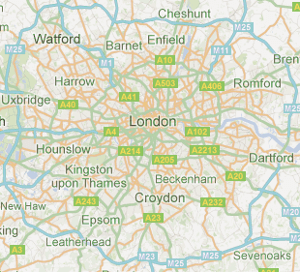 Better Cleaning Company Ltd. is an expert & reliable cleaning company in London. We have highly qualified and fully vetted cleaning technicians. We work with the most modern cleaning technologies and methods. We make sure our cleaners use only Prochem certified, eco-friendly and safe cleaning solutions. We can clean any kind of outdoor or indoor flooring for you, including stone, wood, terracotta, tiles, vinyl, slates, granite, ceramic and others. We will deep clean the floors, remove the stains and then will seal or polish them depending on the type of hard floor we are deep cleaning. Your flooring will be rejuvenated, be less slippery and will be protected for longer against soiling and staining. Regular professional cleaning of your floors will ensure that they survive longer and that they stay beautiful and are safe at all times. Our trained and vetted hard floor cleaners arrive at your address and do a detailed inspection of the condition and type of your hard floor. If necessary, the furniture will be moved from the flooring. Then it is hoovered so that as much residue and dirt is removed before the cleaning. Before any type of cleaning or stain removal solution is used, it is tested on a small and hidden area of the floor for any negative reactions. If the test is OK, the cleaners will spray the solution on the floor. If your floor is not wood, the solution is scrubbed into the floor for a better cleaning effect. If the floor is wood, drive pads are used to clean it safely. The floor is then rinsed and if necessary dried off. After it is dry, the appropriate sealant is applied. Depending on the floor, this can be seal, wax or polish. It serves as a protective coating to keep the floor from getting stained and sealed easily. 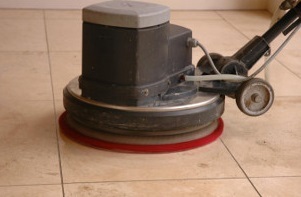 Different types of equipment and tools are used for cleaning the different types of hard floors. Our cleaners are equipped and trained to remove previous sealants from your floor via polish stripping, sanding, and others. Get your floor rejuvenated and prolong its life with the help of our professional hard floor cleaning services - book now! Booking our excellent hard floor cleaning service is actually very easy, quick and doesn’t cost a thing. Just call 020 3746 3201 or send an online booking request here. The customer support centre is there for you 24/7. You will receive written confirmation by e-mail and SMS for your booking within 2 hours. You can book our cleaning services for the same day or you can plan ahead. We have fixed prices, no hidden fees and we do not require that you pay anything in advance.